The world turns and the season transitions from the warming summer heats to the cooler crisper air of autumn. Leaves begin to shake color, changing from green to a brighter palate of firey shades. 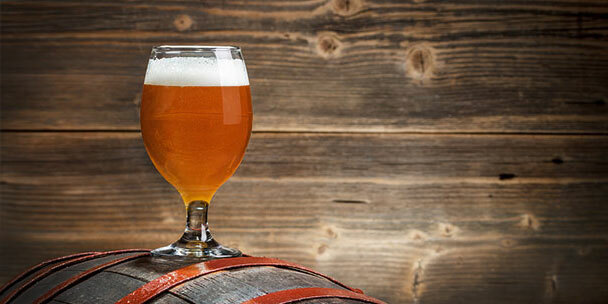 Beer lovers and brewers alike share in the transition. They abandon the lawnmower-light warmer weather beer for something with a little more malt heft and deeper color. 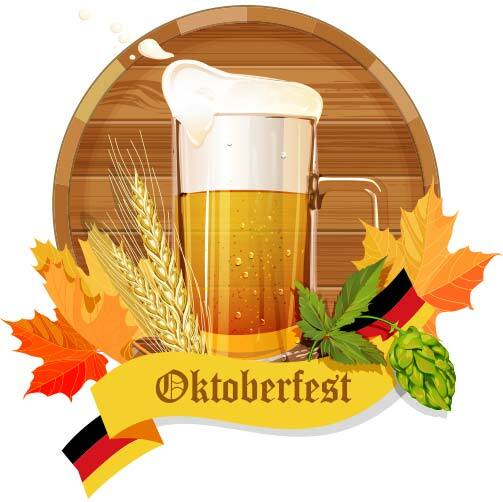 Like the rich colors of the Fall season these beers bring to the palate a richness of deep warmth and abiding malt; and none speak for autumn quite like the amber-orange of the Märzen/Oktoberfest. Interestingly this beer has garnered two names for specific times of the year, but these times are almost exactly opposite each other in the yearly cycle. About 500 years ago there was a set brewing season. 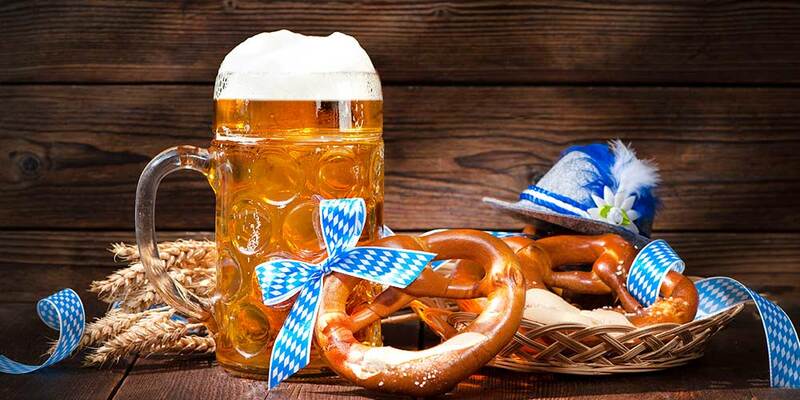 With no refrigeration Bavarian brewers would ply their trade through the winter and early spring while cool temperatures kept microbiological spoilage to a minimum. The last brews of the year, made in early spring (March), would be of higher alcohol and higher hop loads to act as preservatives. These were then stored in caves, or “lagered,” and drank gradually through the hot summer months. But come mid fall, the new years’ grain would be in and casks in high demand for the storage of freshly made beer. Thus, the last of the lagered beer needed to be “taken care of” in a bit of a hurry. This beer, lagered longest, probably would have been some of the best with round malt profiles and much-mellowed hop qualities. Well, it doesn’t take a whole lot of imagination to see the end result. Good beer and a need to drink it, why, how about a party? Though Munich may lay claim to the creation of this style the first reference to the “Märzen” designation seems to be in Vienna around 1732. There is no actual record of a Munich Märzen — at least named as such — until the 20th century, according to Ray Daniels in his book ‘Designing Great Beer’. This seems to indicate a well-established Märzen style in Vienna that was later brought to Munich. Most historians believe it was the professional relationship, during the 19th century, between the Munich brewer Gabriel Sedlmayr and the Viennese brewer Anton Dreher that would give rise to the Munich Märzen. Sedlmayr taught Dreher the finer points of the lagering process. Dreher took this new knowledge back to Vienna and combined it with new innovations in pale malt production to create the Vienna lager. The Vienna Märzen was just a stronger version of this lager and ironically it would be Gabriel’s son who brought the style to Munich. 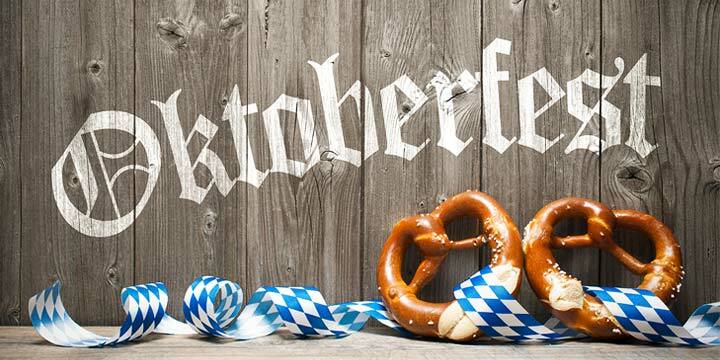 Though some sort of “last of the stock” drinking celebration was probably taking place long before October 12, 1810 it would be a wedding on this date that started the formalization of Oktoberfest celebrations. The wedding was of Crown Prince Ludwig I of Bavaria and Princess Therese of Saxony-Hildburghausen. All of Munich was invited to the festivities which took place in a meadow outside of the city and lasted five days. The prince enjoyed the whole affair so much that every wedding anniversary he did the whole thing over again. The official Oktoberfest celebrations still take place on this meadow. The beer served at these first celebrations would have be Märzenbier, more along the lines of dunkels then what we know Märzens as today. 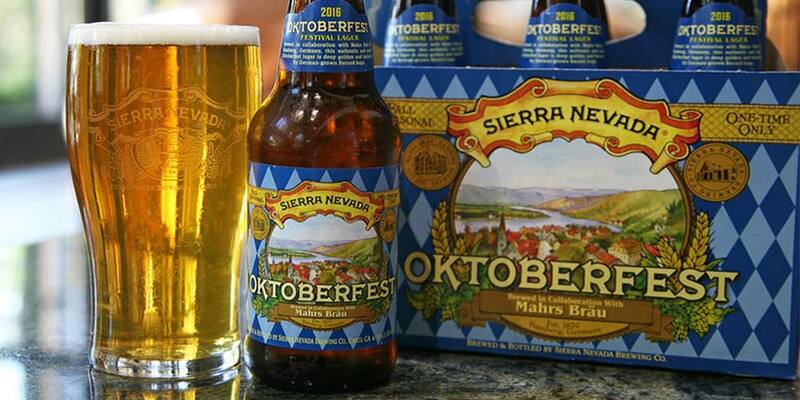 A change came in 1872 when the Oktoberfest celebration ran low on beer. A well-known brewery supplied an amber lager the brewer was calling Ur-Märzen (original Märzen). This brewer was Gabriel Sedlmayr’s son Josef and the beer was worked from a Viennese recipe. The style was quickly adopted around the city and it became the modern Märzen and beer of Oktoberfest. Like many other styles that have evolved through history the modern Märzen/Oktoberfest style bears little resemblance to those first Märzenbiers. The older examples were much darker, brown in color, and fuller bodied then what you find today at Oktoberfest celebrations. Even in recent time, in answer to changing tastes, the beer served at the meadow outside Munich has gone a couple shades lighter, often closer resembling a Munich Helles then the authentic Märzenbier. The guidelines for the Märzen beer style are set by the Beer Judge Certification Program (BJCP) Style Committee. The below details are a summary of what a Märzen should represent. The BJCP classifies this style as an “Amber Malty European Lager.” It can be found in their guidelines as category 6A. 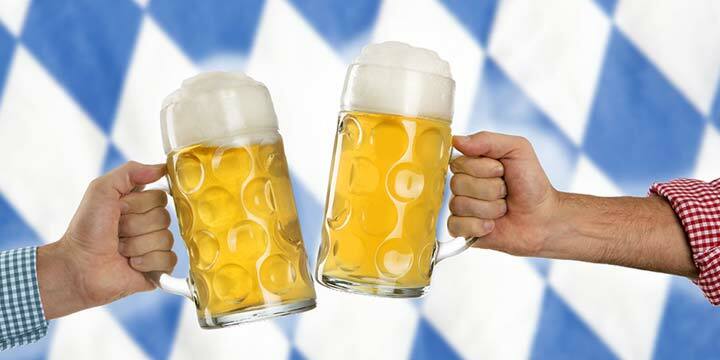 Other beer styles within this category include: Rauchbier (6B) and Dunkles Bock (6C). 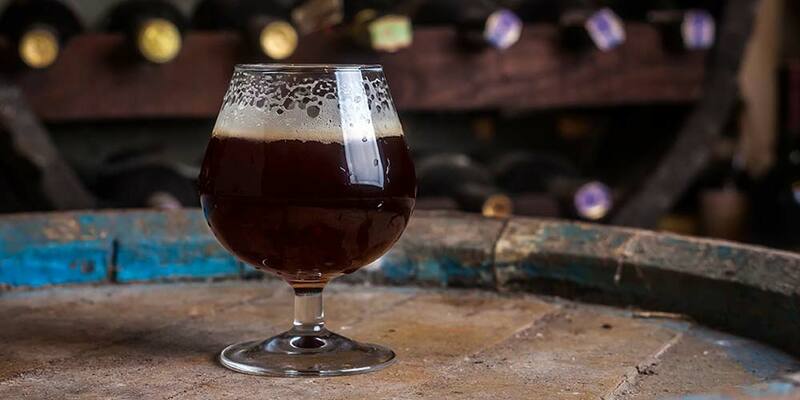 This beer’s color will range from an early autumn amber-orange to a deeper late fall reddish tinged copper. It should not be any shade of gold. Nice off-white head with good retention and superb clarity. A clean and deep malty richness will make up the bulk of aromas. German malt brings a medium aroma of a rich slightly toasted, bready quality, with some light bread crust. There should be no caramel, biscuit, or roasted malt aromas. Has a clean lager fermentation character with no hop aromas. If alcohol is noticeable it should be light. Alcohol strength should remain hidden with only possible whispers of warmth showing. 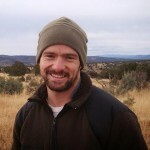 It should be fully attenuated with no recognizable cloying or sweetness. Its medium body, lofted by a very smooth and creamy texture can create the feeling of a fuller mouthfeel. Medium carbonation. It should have a clean lager fermentation profile with no biscuit, caramel, or roasted flavors. May seem sweet at the front but will transition quickly into complex bread and toast maltiness. Hop flavor should be low to none and bitterness only moderate. 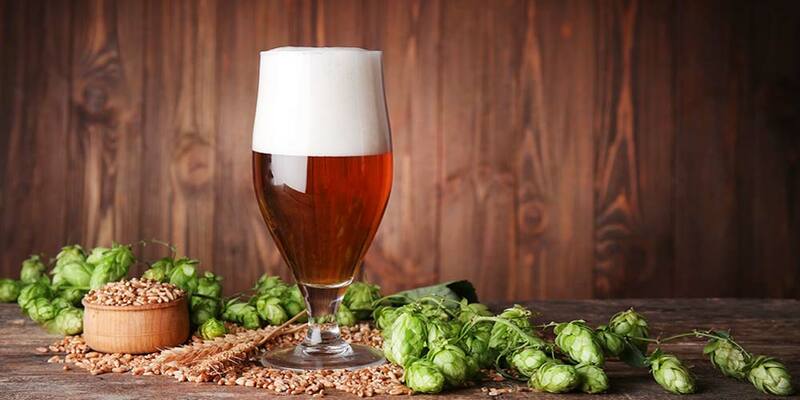 If hop flavor is present it will be of the German types showing floral, spicy, and herbal characteristics. Hops provide a scaled balance to the malt creating nice rich malty qualities all the way through the finish, but eliminating high sweetness. A lingering aftertaste brings the same rich qualities of malt. Great American Beer Festival Winner, Gold, 2014. Available: August – October. Great American Beer Festival Winner, Silver, 2014. Available: Released late August. Great American Beer Festival Winner, Bronze, 2014. Available: September – November. World Beer Cup Winner, Gold, 2014. Available: September – November. World Beer Cup Winner, Silver, 2014. 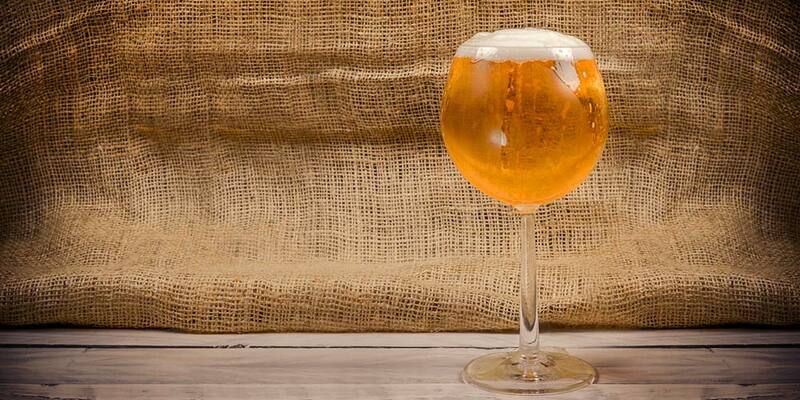 Available: May not be available in the U.S.
World Beer Cup Winner, Bronze, 2014. Available: May not be available in the U.S. 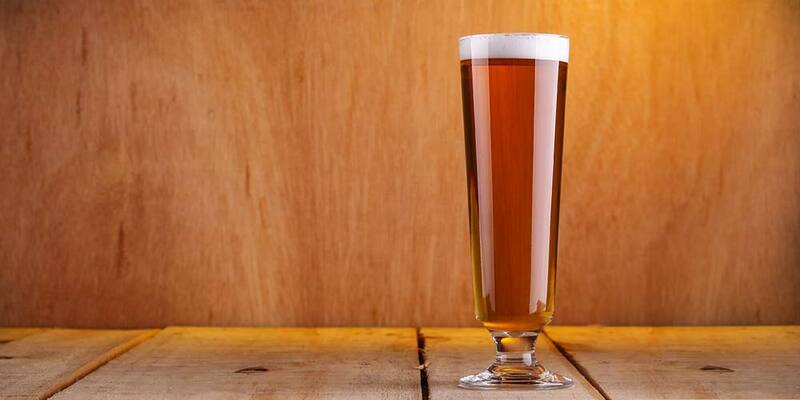 If you’re interested in brewing your own Märzen or Oktoberfest at home, here are a few things you should know going into your brew day. 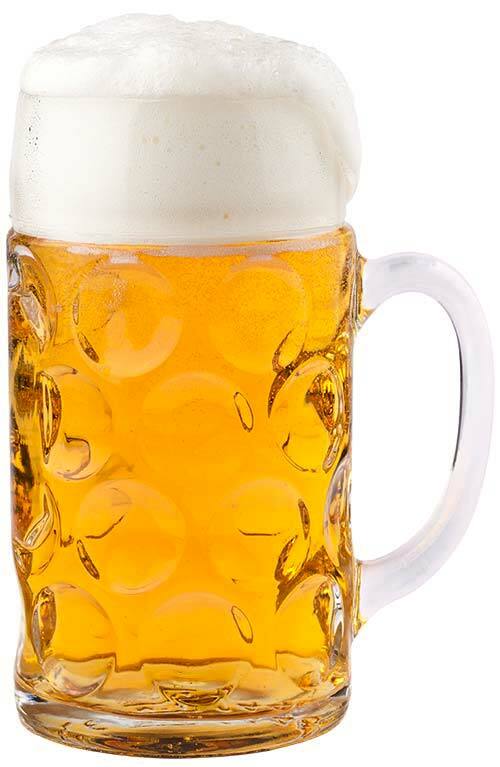 Generally, a Märzen is made from some combination of Munich, 2-row pale or pilsner, and Vienna malts. 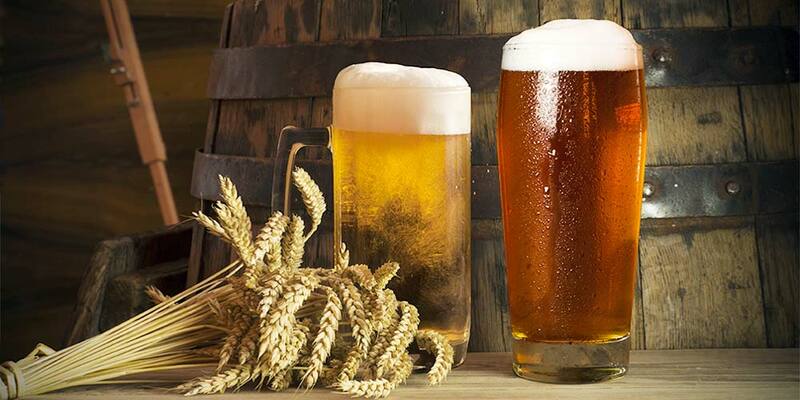 A more traditional Märzen will likely be made up of half Munich malt, while the lighter more modern beer served at many an Oktoberfest would lean more toward the Pilsner or 2-row. So first you need to decide what rendition of this beer you want to make. For myself I always tend toward the older traditions. To make this all grain traditional use 50% Munich malt and make up the rest with Pilsner or Pale malt. If looking for a little more toast you can substitute 10 to 15% of the Munich with Vienna. Some homebrewers will use Crystal at 5 to 10%, but I might skip the Crystal all together and use some form of dark Munich and/or Caravienne for added color, but less caramel presence. A little Cara-pils malt, maybe up to 5% will add body and head retention. 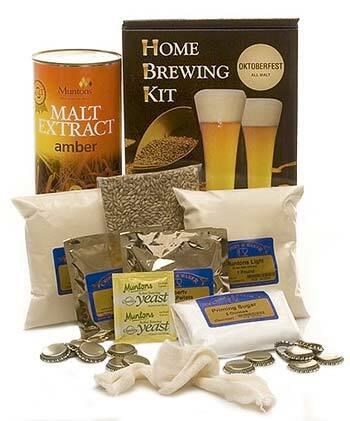 For extract brewing, there are plenty of good Oktoberfest ingredient kits to get you started. Go with a high quality Munich extract or, if going for the lighter side, German pale extract. I’d suggest doing a grain steep with some of the above specialty grains (specialty grains are included in many kits) to create needed complexity and body. Water should be soft. Unless you have very hard water I’d suggest brewing one batch before making any adjustments. If you do have hard water consider an alternate water source or water treatment. Original brewers would have been using a decoction mash to make this style. Decoction mashing takes some practice, an intimate knowledge of your equipment, and watchfulness. It is also not really needed with today’s well modified grains, but if you feel the need to be a purist do some research and go ahead and give it a shot. A simple single infusion mash will do you just fine. Shoot for a saccharification temperature between 152-154°F. Hops are of great importance to the style. Without them the beer will be way too sweet, but it is also easy to over balance and make the beer too hoppy, which has become a bit of an American signature, not just for this style but across many styles. If you want to go that route, experiment. If you are planning to stay within the style guidelines remember there is no noted hop aroma, low flavor, and moderate bittering. Low alpha acid noble hops should be used and if possible use a different hop for bittering and flavoring. Hallertauer, Saaz, and Tettnanger are often used, but both Liberty and Mt. Hood can also work for this style, too. Any Bavarian lager yeast is great for this beer. The SafLager S-23 will work as a dry yeast. On the wet side Wyeast has both a Bavarian lager (2308) and Octoberfest Blend (2633); and White Labs has an Oktoberfest/Marzen strain (WLP820). Lager yeasts can be a bit like children in their performance and management. Some need constant attention while others require very little once they’ve started. Pay attention to your strain’s temperature range, but average primary fermentation temperatures are usually around 50°F. Authentic Märzen is lagered for six to eight long months at close to freezing. This takes patience and a dedicated fridge and temperature control setup. If this long wait doesn’t appeal to you don’t despair. A perfectly good Märzen can be had with a 5 to 8 week lager time. In either case you will need an extra refrigerator with a good thermostat that will remain at a given temperature with little deviation. After you’ve worn your patience completely out, be it at 5 weeks (we need to work on that a bit don’t we) or 8 months (you’re a rock of meditation and reflection) it’s time to dive in and taste the wonders of your labor! I’ve hosted several Oktoberfests with my own beer made in a similar manner to this – pretty close on the malt bill and spot on with the hops, however since I have no way to refrigerate at this time I am using the ‘San Francisco Lager’ yeast and fermenting warm. A nice beer results which has some solid ‘fest cred like color and mouthfeel, while the taste features the malt in its’ own way. I really like the bittering characteristics from Hallertau and I’ve got a lot of happy fest folk every year so I would recommend this twist for those who do not have the cool storage yet. Appreciate the comment and that is a good alternative for those that don’t have the cold storage. Thanks for adding to the knowledge.